Chinese symbols and Feng Shui colors that attract positive changes and wealth, are important elements of creating balanced life and harmonious interiors, preparing homes for Chinese New Year celebrations and the entire year. 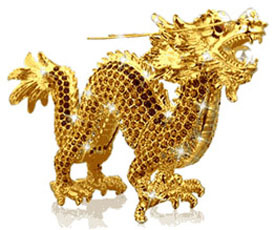 Chinese Feng Shui symbols are based on a principle of words double perusal. Images represent concepts which definitions sound the same in Chinese, creating important Feng Shui decorating concepts and lucky Chinese symbols of longevity, happiness and well-being. Ancient Chinese symbols and Feng Shui decorating ideas are another way of meditation, prooving the idea that indirect instructions, Feng Shui colors, concepts and images of objects get directly into subconsciousness, stimulating the brain to produce the best results and attracting a better life. For example, quiet, timid and shy, as well as grayish-brownish color sound like happiness in Chinese. Corresponding visual images create some kind of traps for subconsciousness, becoming Chinese Feng Shui symbols that reflect happiness. This principle of symbolic reflection is used to Feng Shui home decorating, attracting wealth with right Chinese Feng Shui symbols and designing harmonious environment with good Feng Shui colors, which help to change life in a desirable way and attract health and wealth in the new year. Chinese symbols and good Feng Shui colors are connected to Feng Shui elements, helping to create a positive and stimulating atmosphere for Chinese New Year celebrations and the entire year, attracting good luck and wealth to people and homes. Bamboo plants symbolize longevity and growth. Bamboo plants emphasize the wood element in Feng Shui decorating. 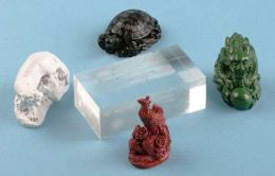 Placed in the northern part of a house, a room or an apartment turtles, made of metal or natural stone, symbolize longevity also. These ancient Chinese Feng Shui symbols of happiness beautifully decorate a room for Chinese New Year celebrations and the entire year, creating meaningful atmosphere and filling a room with positive energy. Festive golden yellow, brownish and red Feng Shui colors, added to room decorating, food decoration and table setting create happy environment for lunar New Year celebration. It is important to remember that lunar New Year celebration is a wonderful time of magic, hopes and dreams. Chinese New Year is the most important festival in Chinese culture, a time for family reunions and feasts. 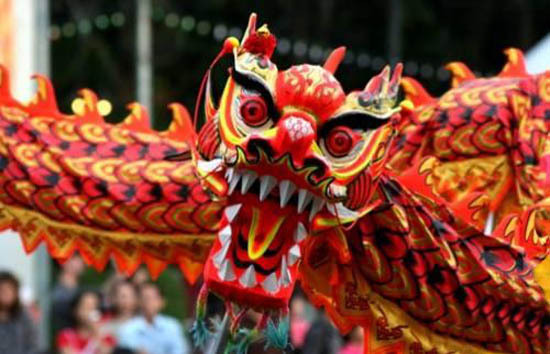 Chinese New Year celebrations are a special time that sets the mood for the entire year. Friendly atmosphere, warm golden yellow and bright red Feng Shui colors create festive, cheerful and powerful environment that stimulates and encorages people to live better and happier. Golden yellow and red colors, added to dinner table decoration and holiday home decor, create exciting and optimistic, festive and bright atmosphere for joyful Chinese New Year celebrations to remember.